Pakistan vs Australia, Pak vs Aus 4th ODI highlights: Abid Ali and Mohammad Rizwan's century went in vain as Australia produced a brilliant turnaround to win the fourth ODI by six runs on Friday. Pak vs Aus 5th ODI Live Cricket Streaming: When and where is Pakistan vs Australia 5th ODI? Pakistan vs Australia, Pak vs Aus 4th ODI highlights: Abid Ali and Mohammad Rizwan’s century went in vain as Australia produced a brilliant turnaround to win the fourth ODI by six runs on Friday. Pakistan at one stage were cruising towards victory as Ali and Rizwan added 144 for the third wicket. However, wickets kept tumbling after Ali’s dismissal and the hosts eventually lost their way, which eventually saw them ending up in the losing side. Earlier in the day, Glenn Maxwell and Alex Carey added 134 runs for the sixth wicket to rescue Australia out of danger as the visitors finished on 277/7 at the end of 50 overs. Maxwell was dismissed on 98, while Carey added 55 runs on the scoreboard. 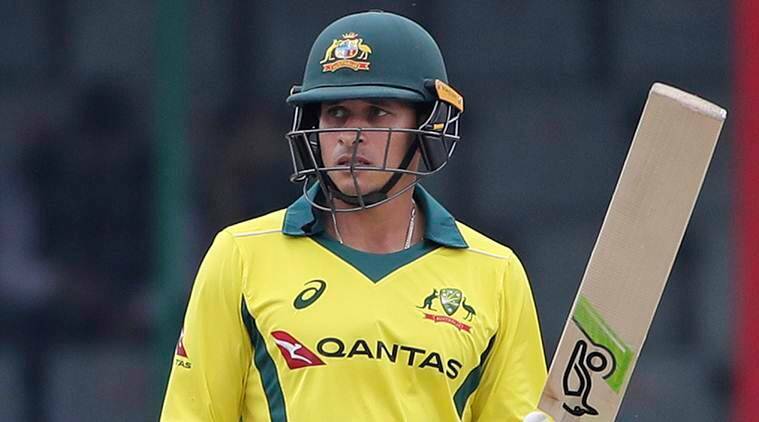 After a 56-run opening stand between Aaron Finch and Usman Khawaja, Australia found themselves struggling at 140/5 as they lost wickets in quick succession in the middle overs. A short delivery pitched outside off stump and Mohammad Rizwan taps the ball for a single to complete his second ODI ton. However, in the same over Pakistan lose another wicket as Imad Wasim walks back to the pavilion after scoring 1 off 5 deliveries. They now require 17 runs in the final over. Coulter-Nile cleans up Umar Akmal on 7 as Pakistan lose wickets in quick succession. The ball was pitched outside off but Akmal while trying to play across the line drags it down to his own stumps. A tricky situation as the hosts need 49 more to win in 41 balls. Adam Zampa strikes but is it too late. With 60 required in 53 balls, Abid Ali walks back to the pavilion after scoring 112 from 119 deliveries, which included nine fours. Abid Ali and Mohammad Rizwan help Pakistan reach 218/2 at the end of 41 overs. The hosts now require 60 runs in 54 balls with eight wickets in hand. Abid Ali goes deep inside the crease and then carefully works it towards the square leg to complete a single to bring up his century. With this knock, Ali becomes the third player from Pakistan to score a century on ODI debut. Abid Ali cuts a short delivery pitched outside off for a boundary to bring up the 100-run stand for the third wicket. Coulter-Nile delivers a full-length delivery angling towards the pads of Mohammad Rizwan and the batsman flicks it towards the deep backward square to complete two runs. With this Rizwan also brings up his half-century. Mohammad Rizwan pushes the ball for a single to bring up the 150 for Pakistan. They now require 128 more to win. Mohammad Rizwan and Abid Ali have steadied things for Pakistan as the duo help the hosts reach 133/2 at the end of 27 overs. Ali is batting on 69, while his partner is on 37. Abid Ali drives the ball towards long-on for a single to bring up his fifty in his maiden ODI and also help Pakistan edge past the 100-run mark. Haris Sohail punches the ball for two runs to bring up the 50 for Pakistan. Sohail is batting on 12 off 21 balls while his partner Ali is on 37 from 34 deliveries. After losing Shan Masood early, Abid Ali and Haris Sohail help Pakistan reach 32/1 at the end of six overs. Ali is batting on 28 off 25 balls, while his partner is playing on 3 from six deliveries. Pakistan openers Shan Masood and Abid Ali are out in the middle to start the chase. Nathan Coulter-Nile will bowl the first over for Australia. That's a wrap as Mohammad Hasnain strikes in the final delivery of the 50th over as Alex Carey departs after scoring 55 from 67 balls. His 134-run stand with Maxwell help Australia reach 277/7 at the end of 50 overs. A well-played innings by Glenn Maxwell comes to an end as the right-handed batsman misses out from completing his ton by two runs. He departs after getting run-out on 98 off 82 deliveries. Alex Carey smashes the ball straight to the bowler who fails to hold onto the ball as he completes a single to bring up his maiden ODI fifty. Carey and Maxwell have added 127 runs in 124 balls as Australia reach 272/5 at the end of 49 overs. Glenn Maxwell and Alex Carey rescue Australia out of danger as they add over 100 runs for the sixth wicket. Glenn Maxwell and Alex Carey help Australia reach 219/5 at the end of 44 overs. Maxwell is batting on 69 off 67 balls, while his partner Carey is on 32 from 47 deliveries. Last 10 overs of the innings are remaining. Australia have fought back to 194/4 with Maxwell and Carey at the crease. Can they reach 250? Yasir Shah gets the crucial wicket of Usman Khawaja as he is trapped LBW on 62. A fuller length delivery and Khawaja tries to sweep the ball but fails to make any contact and the ball hits his pads. Easy decision for the umpire as he raises his finger. Khawaja walks back to the pavilion on 62 off 78 deliveries as Australia are struggling at 140/5. Khawaja and Peter Handscomb help Australia reach 86/2 at the end of 20 overs. Khawaja is playing on 34 off 53 deliveries, while his partner is on 6 from nine balls. Khawaja and Marsh help Australia reach 63/1 at the end of 15 overs. Khawaja is playing on 21 off 37 balls, while his partner is on 3 from eleven deliveries. Mohammad Hasnain gets his maiden wicket as he traps Finch leg before on 39. This is the first time in the series that Finch has been dismissed for less than 50. Shaun Marsh is the new batsman out in the middle. The opening pair of Khawaja and Finch add 31 runs at the end of eight overs. Finch is playing on 24, while Khawaja is on 7. Finch is in good touch as he is connecting the ball from the middle of the blade. The Australian skipper has already scored two centuries in the three ODIs that has been played in the five-match series. Can the skipper complete his third ton today? Khawaja taps the ball towards cover and tries to steal a quick single and survives from being run-out. The ball misses the stumps by inches, had it been a direct hit Khawaja would have been out. An excellent over by Junaid Khan as Khawaja fails to find a single run from it. The opening pair of Aaron Finch and Usman Khawaja are out in the middle to start the Australian innings. Usman Shinwari will start the proceedings for the hosts. Pakistan win toss, elect to bowl! 2 Pak vs Aus 4th ODI Live Cricket Stream: When is Pakistan vs Australia? What time is the toss? Which TV channel is broadcasting?